Victor Hugo was born in this house in 1802. 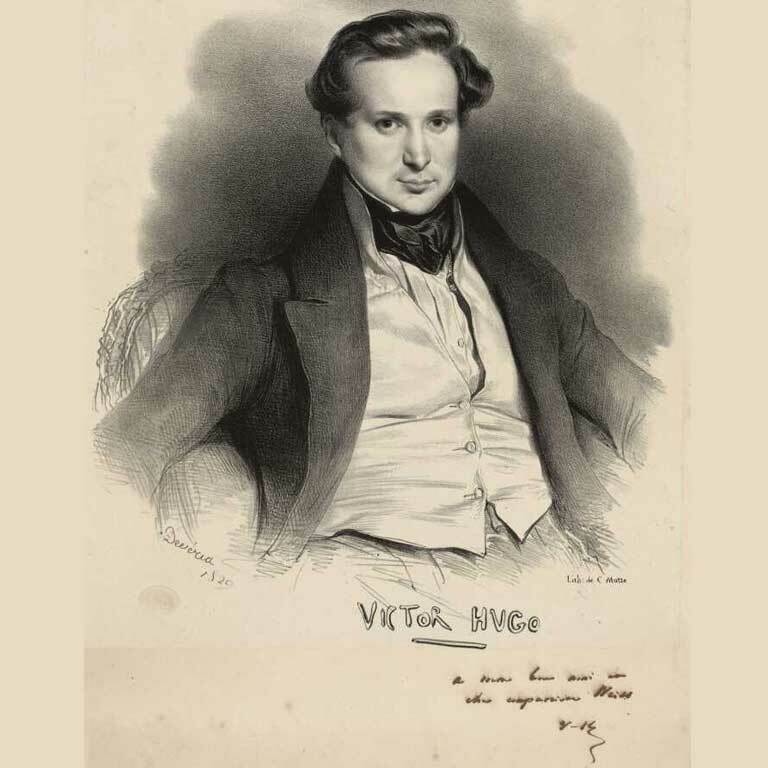 Since the 18th century, it has also been home to a succession of painters, including the young Gustave Courbet while he was attending the Besançon Art School from 1838 – 1839. 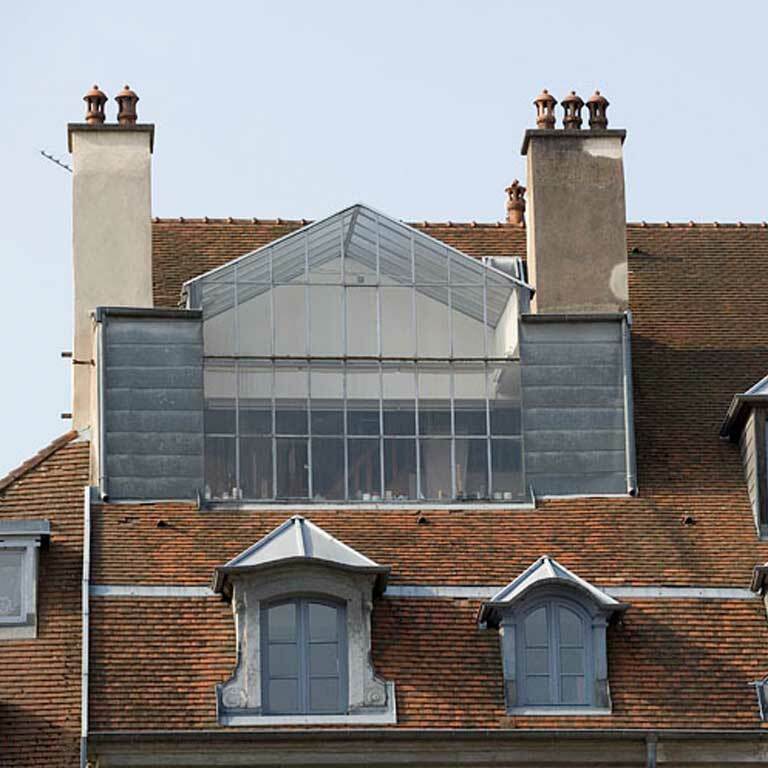 The tall glass wall that you see high above you, jutting out of the roof, was installed in the early 20th century. It is part of a painter’s studio, and has always had a painter in residence. 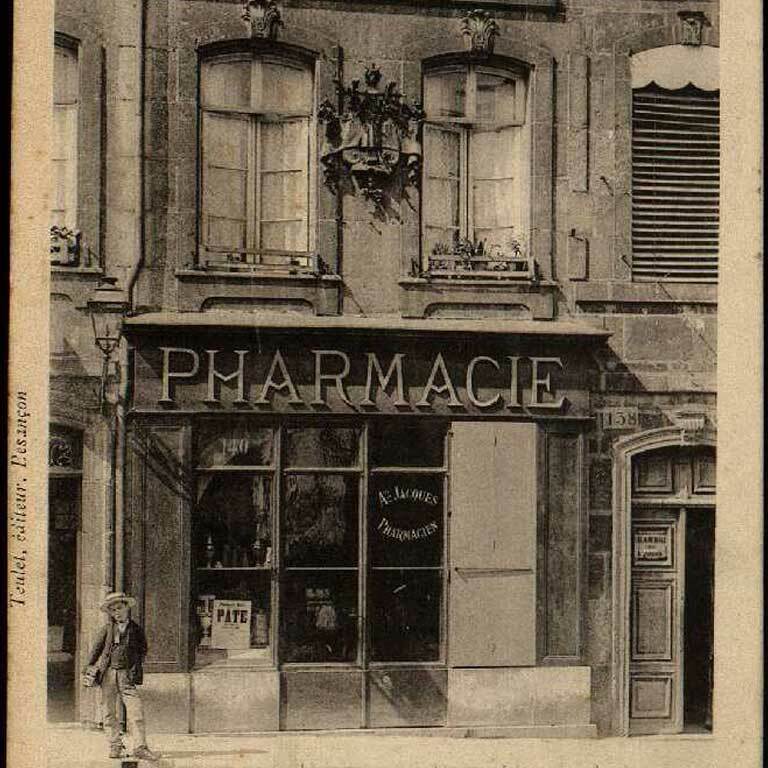 From 1754 to 1909, there was a chemist’s shop in the building; the dispensary was located to the right of the entrance hall. Its 18th century woodwork, pots and jars were displayed in the Lascaris Museum in Nice until 2013; following an agreement reached between Besançon and Nice, they were returned to their home town. Let’s take a closer look at this house that has 2 facades. The main facade was redone in the 18th century. 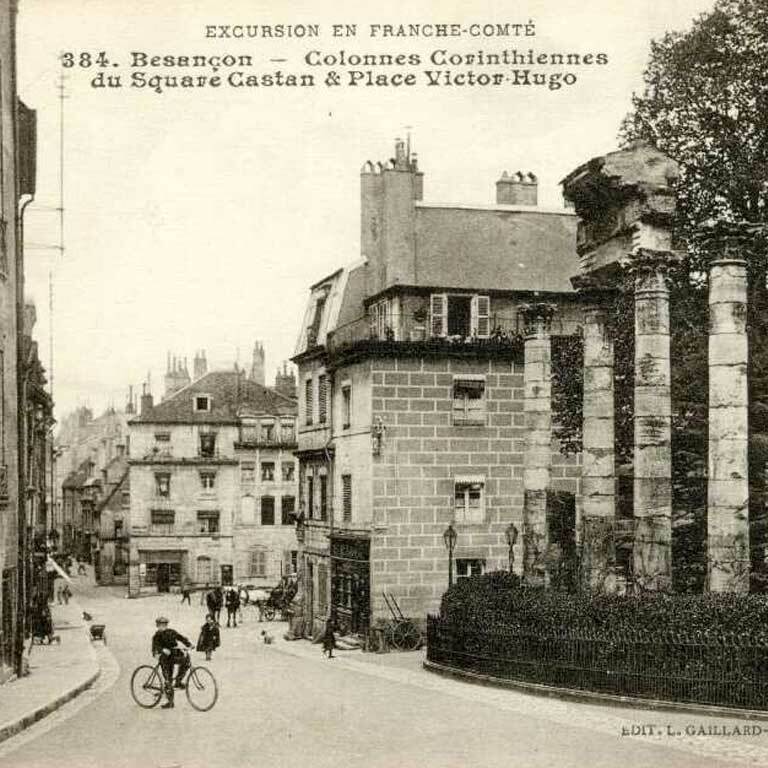 A number of facades underwent changes at this time, because the Bisontins (what the people who live in Besançon are called) of the Age of Enlightenment felt it was really important to beautify their city. 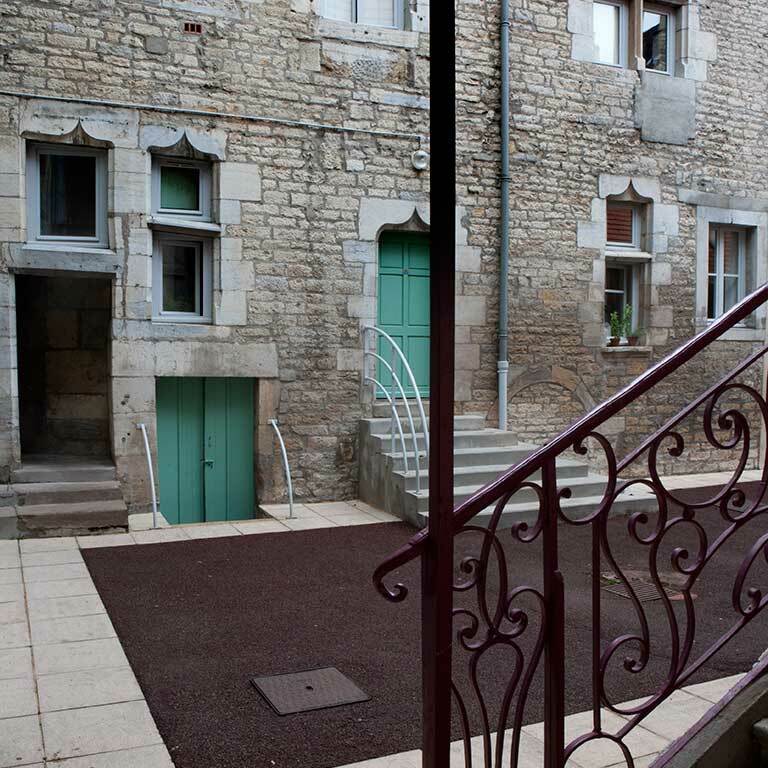 The side facade, at No.4, rue Renan, has casement windows with ogee arches, dating from the 16th century. 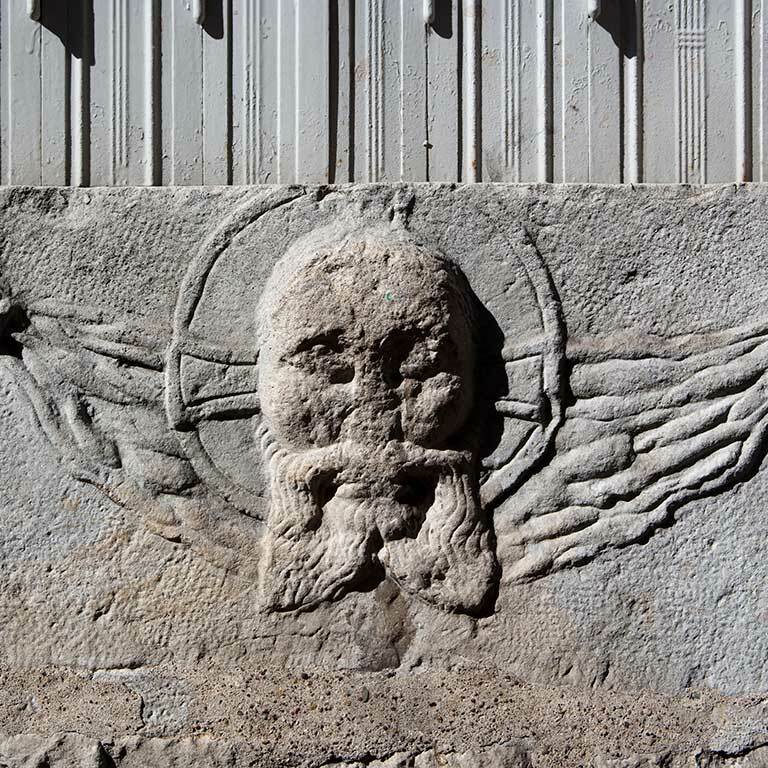 A bas-relief under a ground floor window shows Christ’s face on a cloth. This sculpture perpetuates the memory of a relic of the Holy Shroud, which came to the area around 1523 and was displayed in Saint John’s Cathedral until it disappeared during the French Revolution. 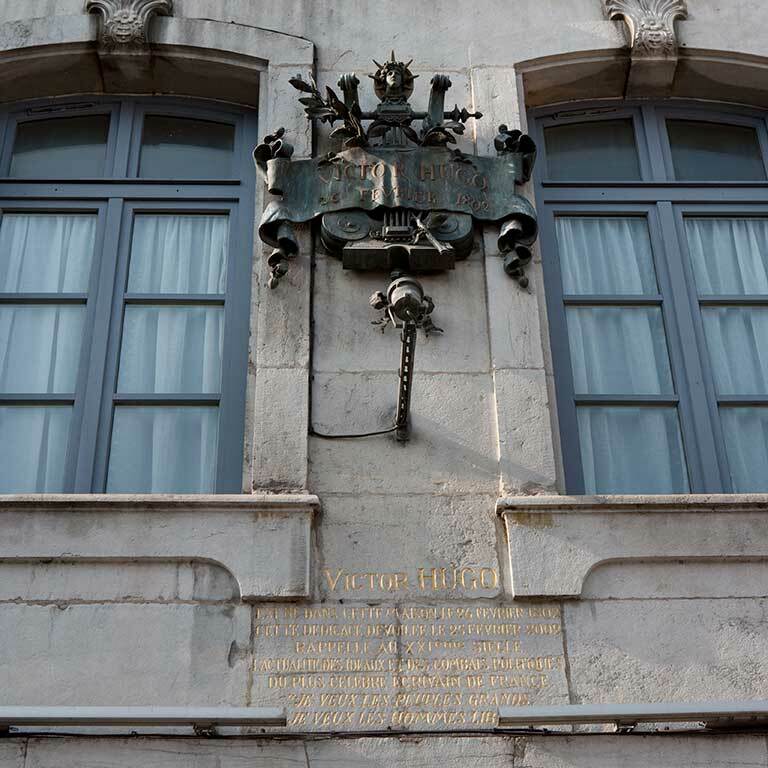 If you go back around the corner and look at the facade at 140, Grande Rue, you will see that it overlaps significantly onto its neighbour which extends to the corner of the street. You can see the remains of a stone facade from the 15th century at the very corner. 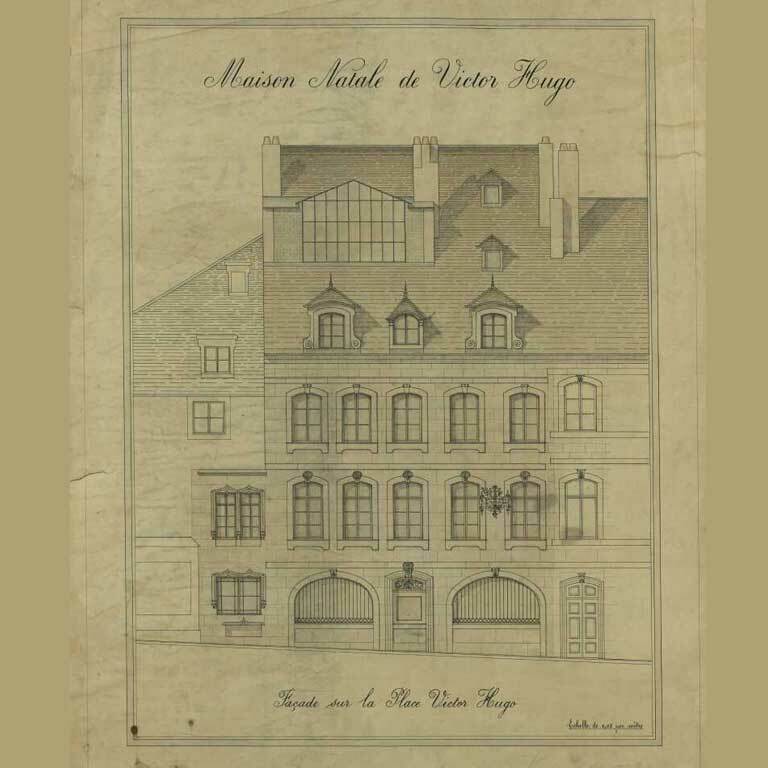 It was included in a timber framing construction from the 17th century. This is a good example of how city faces change and are renewed over the centuries. 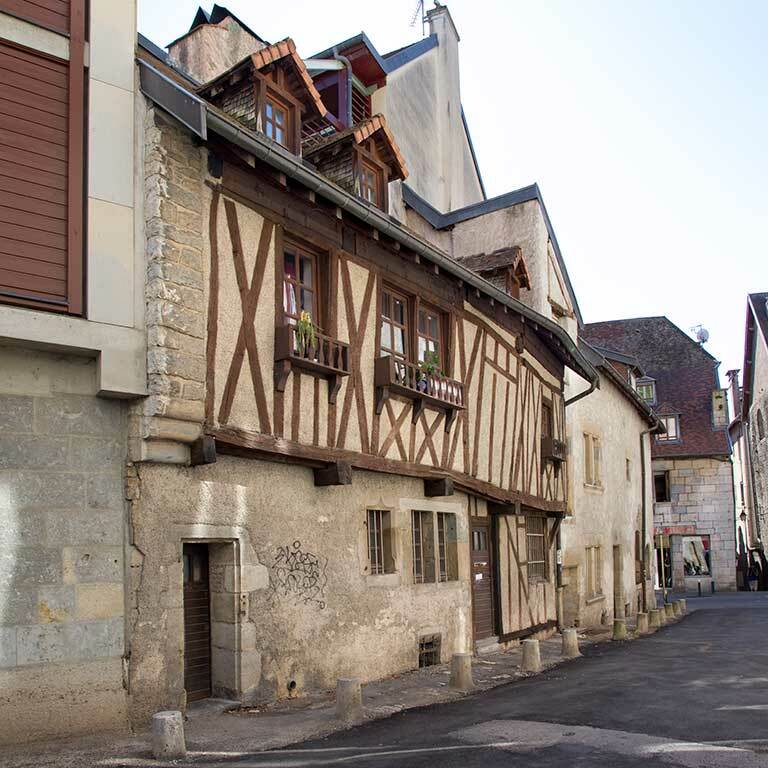 Timber-framed houses were common in the Middle Ages in Besançon. There are still a few of these homes left that you can see on the right bank of the Doubs, in the Battant Quarter. 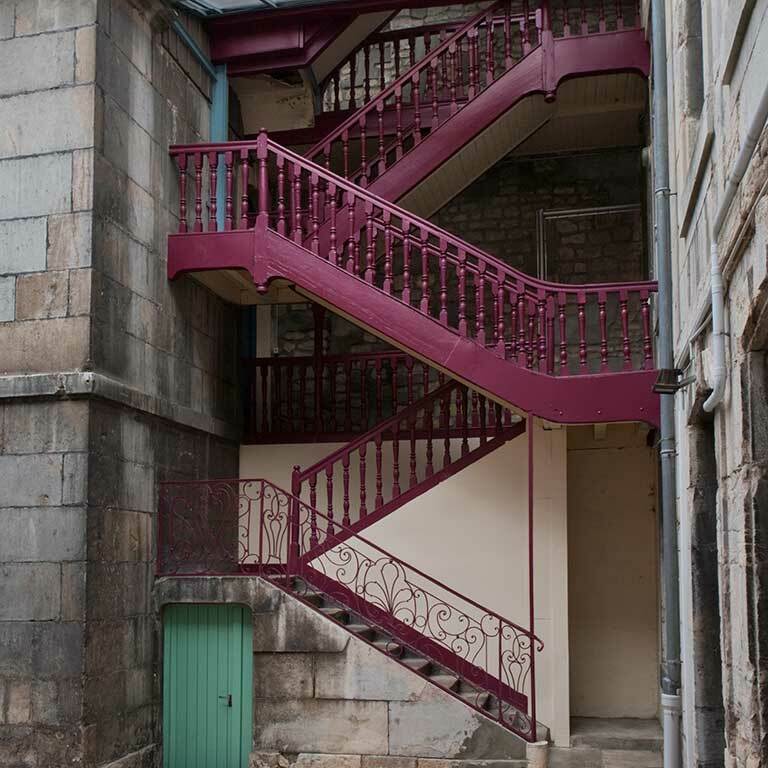 But from 1588 on, following repeated fires, municipal ordinances required that cut-stone be used for street facades. 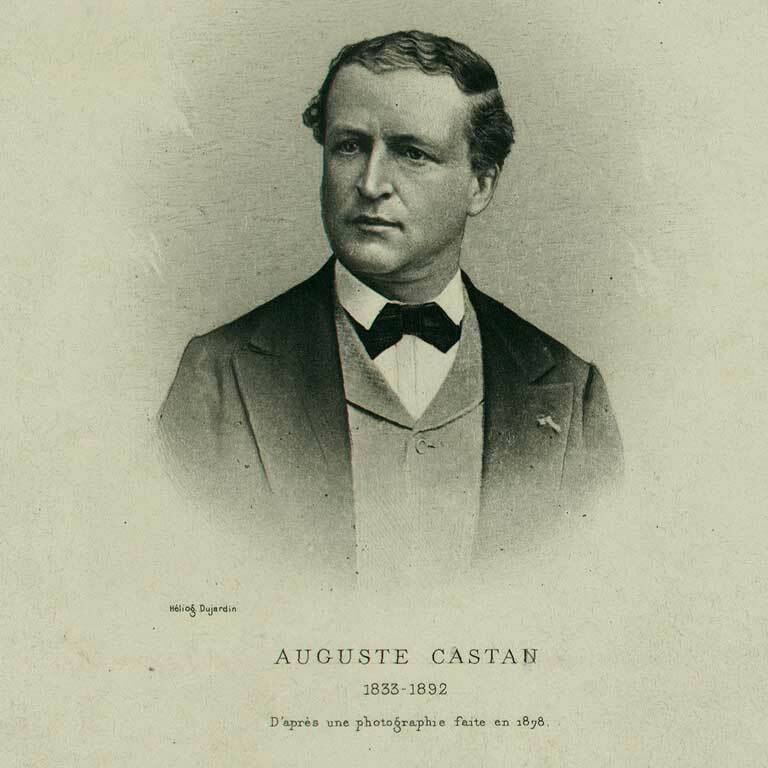 These homes are just a few steps away from Castan Square, named after the archaeologist and librarian Auguste Castan. The square is home to an archaeological garden, which was created in the 1870s by Alfred Ducat, architect, and Brice Michel, landscape gardener. 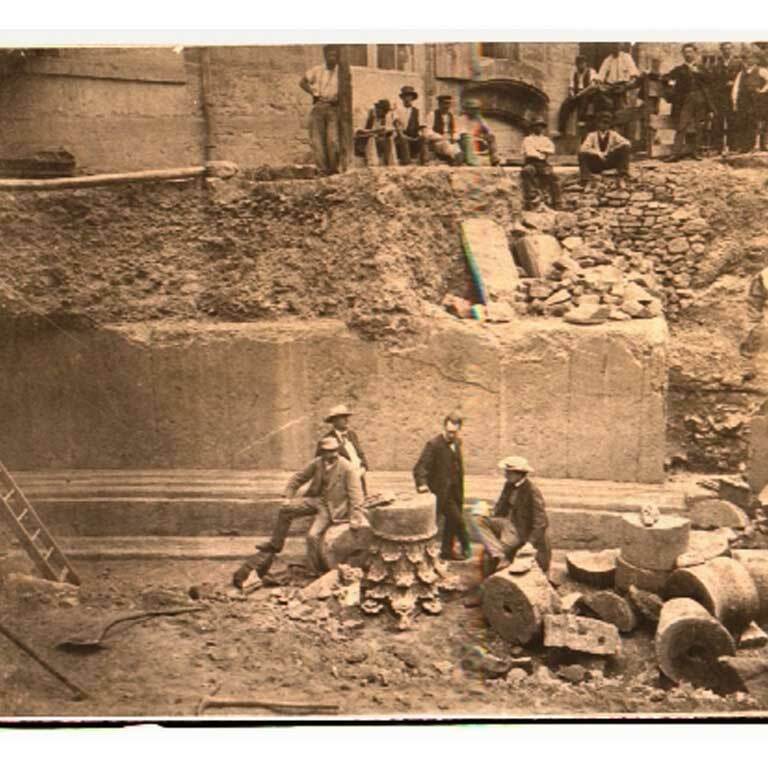 You can see here some of the findings from Auguste Castan’s excavations, discovered shortly before the creation of the garden: there are some tall Corinthian columns which line the side of the street, and smaller findings are cemented onto brick supports, located inside the garden.